At Great Abington we work in partnership with you to create: curious, resilient, inquisitive, independent pupils who relish challenge. They need to engaged in all aspects of school life from the enriched curriculum to the extra curricular clubs. Please do come and talk to us if at any stage you are concerned about the outcomes being achieved by your child(ren). In partnership we can overcome any barriers that inhibit pupils learning and feeling safe within school. The two main areas we need your support with are: reading and developing curiosity. We have developed a core maths pack for parents / carers which support the early development and embedding of mathematical concepts. Below is our maths calculation policy. This document includes of the different strategies we teach. Do talk to Mr. Richards (Maths leader) for further information. Do inform us (contact us page) of any ideas you have for helping your child at home. Ever wondered why children say they're bored at school, or why they stop trying when the work gets harder? Educationalist Carol Dweck explains how the wrong kind of praise actually *harms* young people. This short video is essential viewing for EVERYONE - from teachers and education workers to relatives and friends. At Great Abington we embrace challenge for all and use our values to support our pupils in being lifelong learners! If using on a Tablet or Smartphone device you will need to install the Puffin Browser that enables Flash technologies to be used. Spellingframe.co.uk offers the opportunity to practise spellings linked to particular spelling rules (for Y2, Y3/4 and Y5/6). All words are read aloud and provided within a sentence for context. 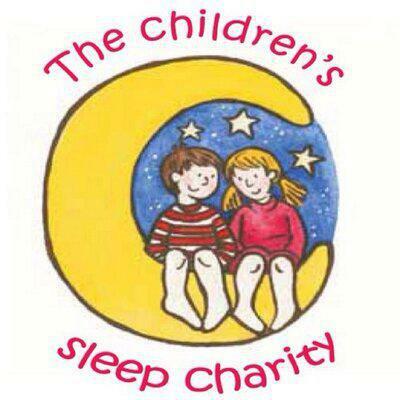 The Sleep Charity - Working to ensure that children get a good night’s sleep... and so do their parents / carers! At Great Abington we invest in areas that concern our school community. Mrs Pearl (Class 1 Teaching Assistant) has attended a two day course on improving sleep. The following resources can support you in understanding more about sleep and will compliment our 5 week programme for parents and carers. Please do contact the school if you have any questions or would like information on the 5 week programme - PDF poster. Following on from our reading information meeting for new parents and carers you will now find copies of the presentations below. Do contact your child's teacher if you would like any further advice. Information about the Year 1 Phonics Test is also available, following the meeting for parents and carers in June each year. Values education is at the heart of everything we do at Great Abington Primary School. To help you develop an understanding of Values Education, we intend to build a library of information in the documents lists below. All documents relating to Values begin with "VBE". There is also a link below to the official website of the Values Based Education organisation here - VBE Website. We hope you enjoy finding out more about this area which is central to life at Great Abington School. BBC and Premier League Super Movers - Key Stage 1 Brought to you by the Premier League and BBC, Super Movers encourages teachers to adopt an active approach to learning and include physical activity throughout the day. BBC and Premier League Super Movers - Key Stage 2 Brought to you by the Premier League and BBC, Super Movers encourages teachers to adopt an active approach to learning and include physical activity throughout the day. Help with Reading and Maths The website of Oxford University Press. Lots of resources here to support reading and maths, including access to free e-books. Learning to Read through Phonics - DFE Guide for Parents and Carers A link to the DfE site providing access to a guide for parents and carers on phonics. The Book Trust Organisation The website of the Book Trust. Lots of interesting articles on children's authors, good reads for children and much, much more.